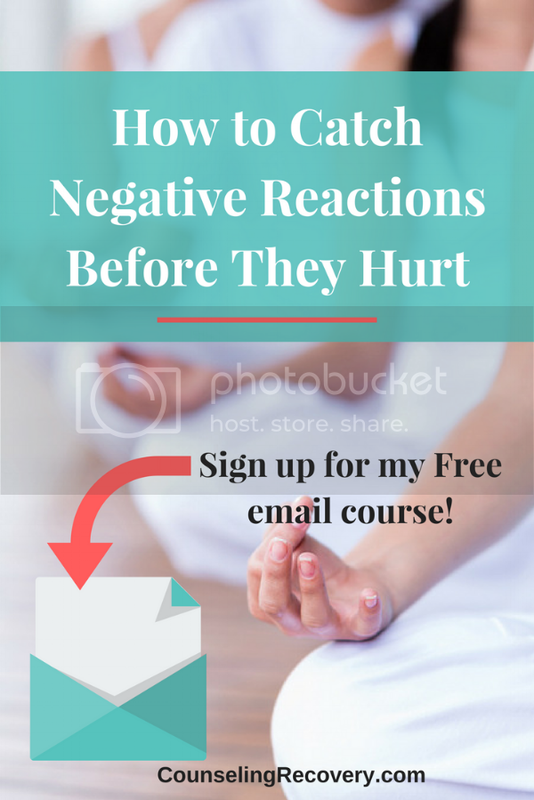 Are your reactions starting to hurt your relationships? If your reactions are getting in the way, you're not alone! That's why I created this free email course. You can learn how to recognize anger before it gets out of hand! There are three ways anger becomes a problem. Stuffing emotions which creates stress and resentments. Exploding which means you may not recognize emotions until it's too late. Indirect anger which leaks out in hurtful or sarcastic comments. Click the image below to sign up now! Start your FREE 5 day email course on catching your anger today! Click the image to share it on Pinterest! If you need more individual help, please call or text me at (408) 800-5736 or email me for a free 15 minute phone consultation.